The fan-favorite heroines from the Nitroplus franchise are now in a fighting game for the ULTIMATE DREAM MATCH!! 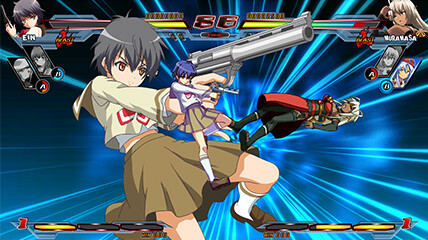 A fighting game lined up with the fan favorite heroines from the Nitroplus franchise is now making its debut on the PlayStation®4 and PlayStation®3. EXAMU, friends of fighting game fans across the world, are in charge of development. This game combines simple, approachable controls, which any player can enjoy, with deep mechanics to excite and challenge. 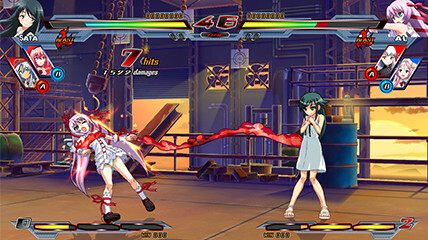 On home consoles, the respective heroines for Nitroplus, EXAMU and Marvelous will make their fighting game debut! 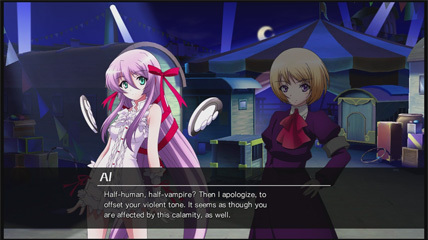 On top of an all-new Story Mode for the heroines, there's a bonus story mode, called "Another Story," which reveals the truth the arcade version couldn't uncover. 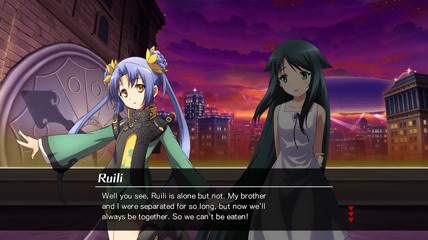 Battle online to your heart's content against other players from around the world. PlayStation®4 x PlayStation®3 cross-play compatible. For the opening, Super Sonico and her three-piece band, First Astronomical Velocity, will release a brand-new song. The fully animated opening movie is a must-see. 8 years after of the release of Nitro+ Royale on PC, our dream of an arcade release has come true, thanks to EXAMU. Further, thanks to Marvelous, we are able to release on home consoles. As someone who took part in the original work, and as a fighting game fan, I feel very lucky to be involved with this project. I hope this game will carve its name in players' personal fighting game histories. Let's...BLASTERZ!! 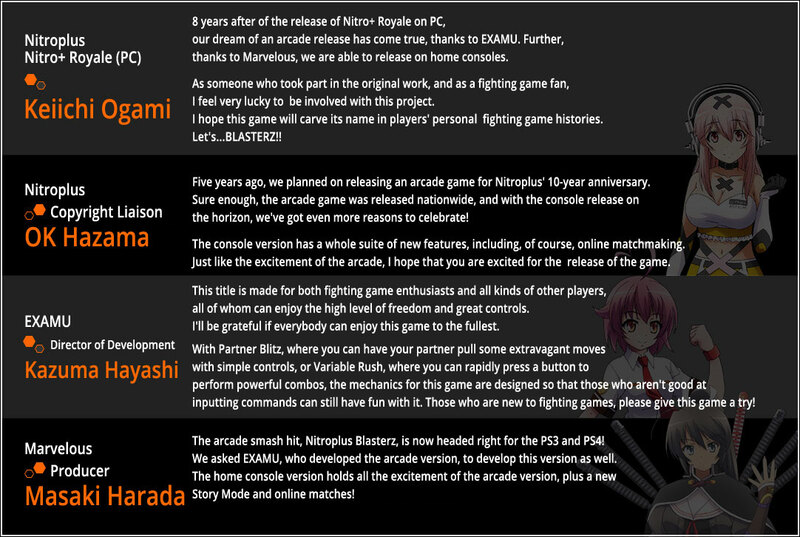 Five years ago, we planned on releasing an arcade game for Nitroplus' 10-year anniversary. Sure enough, the arcade game was released nationwide, and with the console release on the horizon, we've got even more reasons to celebrate! The console version has a whole suite of new features, including, of course, online matchmaking. Just like the excitement of the arcade, I hope that you are excited for the release of the game. This title is made for both fighting game enthusiasts and all kinds of other players, all of whom can enjoy the high level of freedom and great controls. I'll be grateful if everybody can enjoy this game to the fullest. 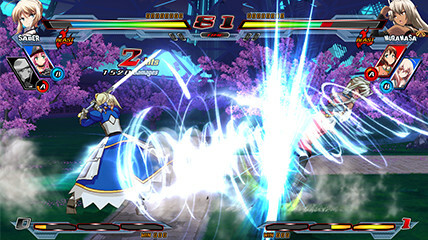 With Partner Blitz, where you can have your partner pull some extravagant moves with simple controls, or Variable Rush, where you can rapidly press a button to perform powerful combos, the mechanics for this game are designed so that those who aren't good at inputting commands can still have fun with it. Those who are new to fighting games, please give this game a try! 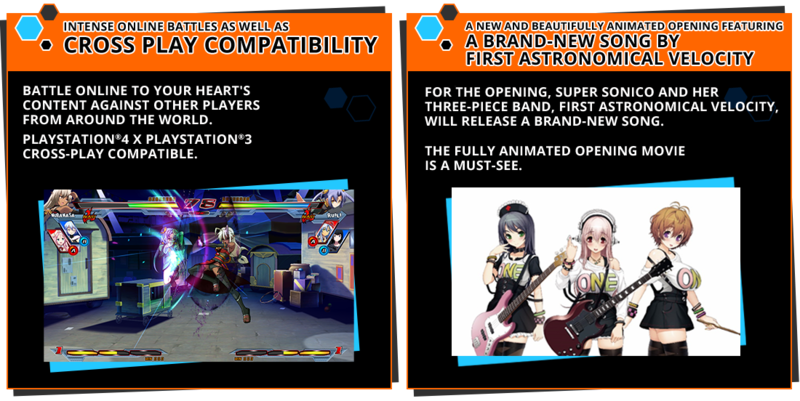 The arcade smash hit, Nitroplus Blasterz is now headed right for the PS3 and PS4! We asked EXAMU, who developed the arcade version, to develop this version as well. The home console version holds all the excitement of the arcade version, plus a new Story Mode and online matches! ©Nitroplus/Norimitsu Kaiho, Sadoru Chiba, HOUBUNSHA ©2015 Marvelous Inc. ©EXAMU Inc. Licensed to and published by XSEED Games / Marvelous USA, Inc. "PlayStation", the "PS" Family logo, and "PS3" are registered trademarks. "PS4" is a trademark of Sony Computer Entertainment Inc. The ESRB ratings icons are registered trademarks of the Entertainment Software Association.